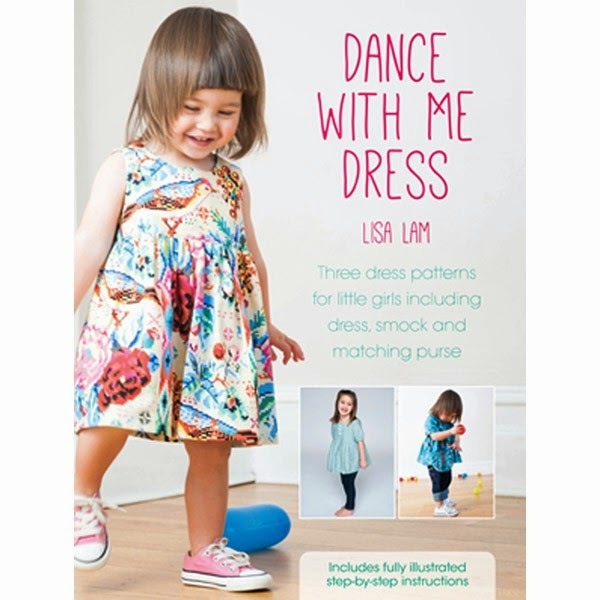 The Kids Dressmaking Blog Hop with Lisa Lam + a Giveaway!!! As someone with an extraordinarily large number of friends with babies, I'm always on the lookout for cute sewing patterns for little ones. Needless to say I was delighted when Stitch, Craft Create got in touch about joining The Kids Dressmaking Blog Hop with Lisa Lam, especially as they're offering you guys a sweet giveaway to boot which I'll detail at the end. Lisa Lam is well known for her handbag making empire - U-handbag - but having her daughter (who is the adorable model pictured below) inspired her to try her hand at children's patterns and the results are pretty cute! The Dance With Me Dress is a sweet and simple design, open to interpretation and creativity so you can really go wild with it. It can also be made as a pretty smock top and comes with a matching purse pattern to boot...too cute for words! For a funkier edge Lisa has also released the Happiness Halter Playsuit, which is a versatile wardrobe-builder for your lucky tot - you get a playsuit, dress and halter top all in one pattern! I've yet to stitch either of these patterns up, but the instructions seem easy to understand and comprehensive, with clear pictures illustrating key construction methods. Each booklet also includes foldout full size pattern sheets, which is a huge bonus for anyone who doesn't have a photocopier/printer or hates tracing. The patterns are graded for children between 2-6 years old, so if you're a parent you'll definitely get your money's worth! Speaking of money, you can save 25% of the RRP if you order both patterns together from Stitch, Craft Create. Or you can leave a comment below telling me which pattern is your favourite and why, for a chance to win a free copy of both booklets! Make sure you leave your email address so I can get in touch if you're the lucky winner. This giveaway is open to all and closes at midnight (GMT) on Tuesday 22 July. 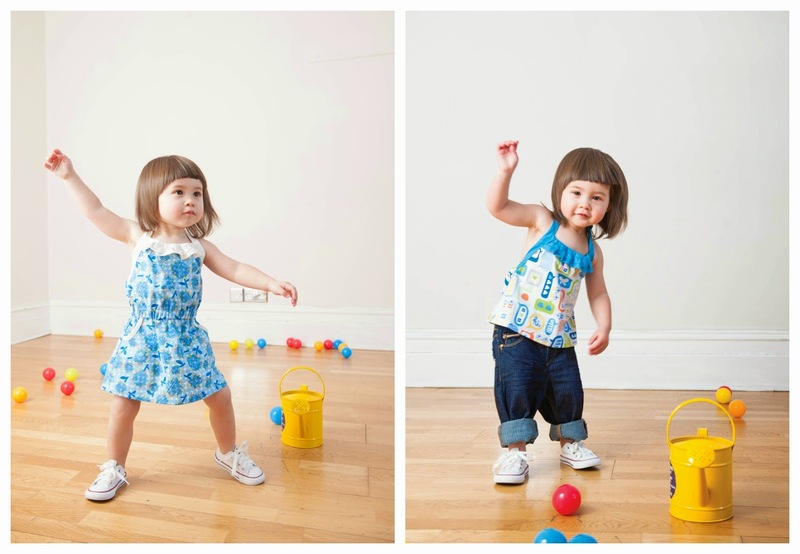 I looove the Dance with me dress, that little smock with the buttons has got me!! I love the Happiness Halter Playsuit! I found playsuits utterly practical and this one is cute and versatile... perfect for my twins! Both are cute, but the Happiness Halter Playsuit is my favourite! The style is unlike any toddler pattern I've seen. I love the elasticated waist and halter neck. The Dance with Me dress is my favourite. And that matching purse! My little girl turns 2 next month and has just started getting into dresses, and she LOVES little bags! i love the smock top it is just beautiful and the pocket is perfect for all those gathered treasures. My favorite is the smock, I can see it in lots of patterns and colours for the little girl in my life. Thanks for showing those patterns and the giveaway. I love them both but especially the Dance with me Dress, I can just see my daughter getting more wear out of it (boring but true!). Lovely giveaway! I love the Dance with me dress - especially worn as a tunic!! Oh my gosh, I want to make that playsuit for my little girl. So cute! Oh my gosh, that dress and purse combo are absolutely adorable! I have plenty of friends with babies right now too, so this would be ideal :) Thanks so much for the giveaway! Swoon, I would love to sew all pattern up! Hmm does that playsuit come in adult size? Wow, these patterns are just adorable, I especially love the play suit! I'm expecting the arrival of my own little girl in the next few weeks and I'm so excited I'll be able to sew for her! Thanks for hosting the giveaway! I love both! I think I'd like to try the dress with sleeves first as it looks so good on the baby model. Great patterns, think my favourite is the playsuit. But they are both lovely. Wow! Both of the patterns are super adorable but I think the playsuit wins the battle of cuteness. I could see making this for lots of friends. I love the Dance with Me Dress - can just imagine my little 2 year old niece running around in this (If Aunty Amanda can make it!!) I think the playsuit is super cute too, and Lisa's lovely little daughter - so cute! !